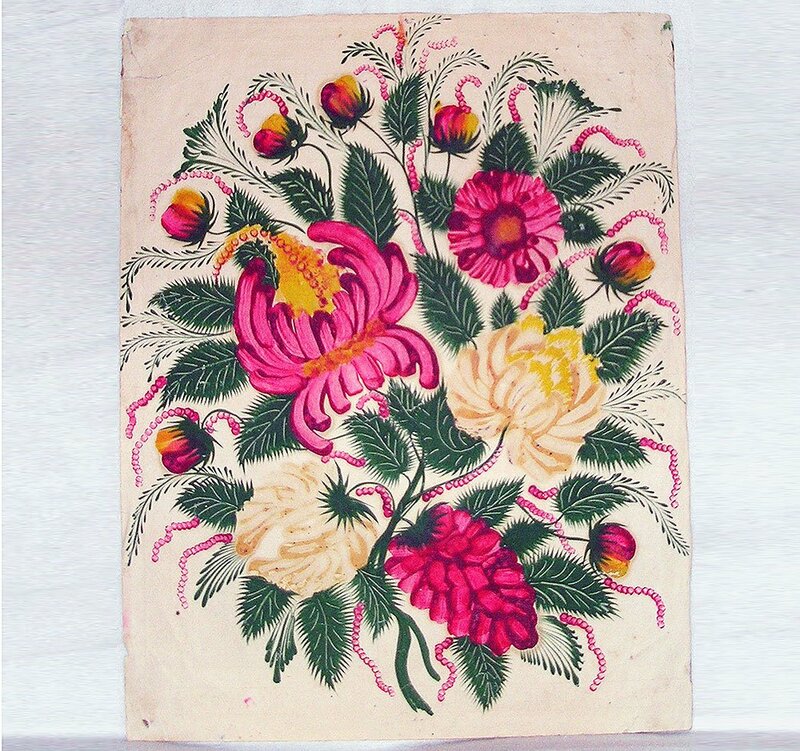 Petrykivka painting is the Ukrainian arts and crafts patterned folk style that originated from the village of Petrykivka (today it is the center of the Petrykivsky district of the Dnipropetrovsk region) and takes its name from this village. The village was founded in 1772 by Hetman Petro Kalnyshevsky on the riverside of Chaplynka river. 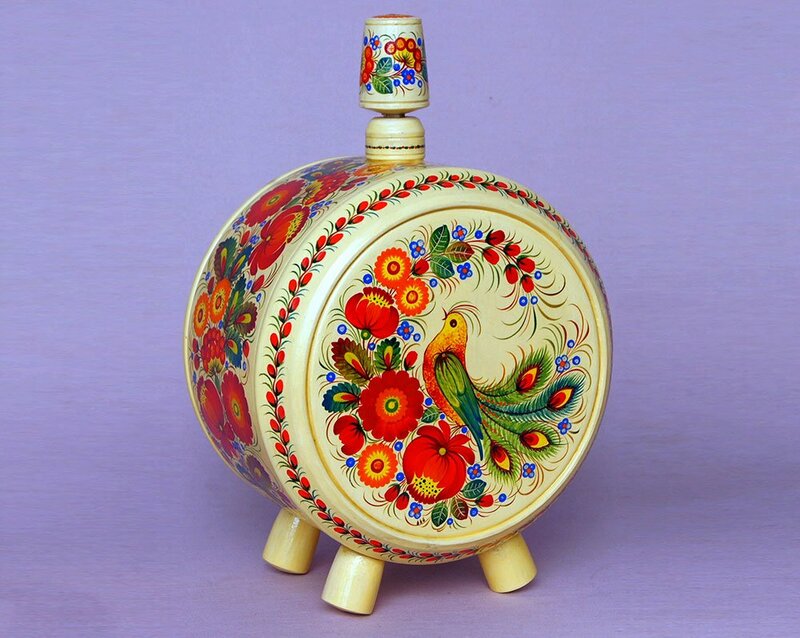 The traditions of decorative painting of the interior of the peasant huts created the artistic basis of Petrykivka style. Decorative murals were widespread in many regions of Ukraine. 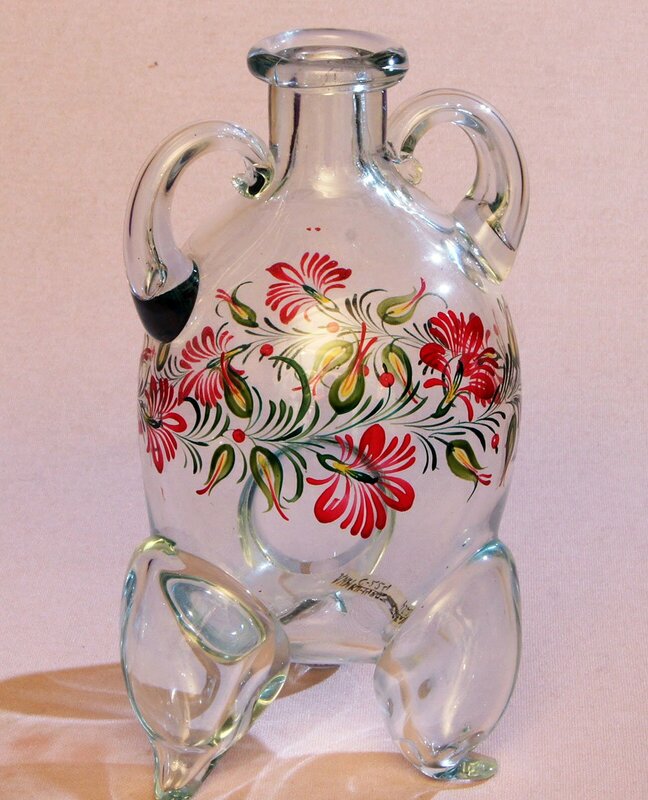 In the Dnipropetrovsk region, there was a tradition to decorate the walls of the houses with rich floral ornaments. The murals in the village of Petrykivka stand out for their specific art qualities. Drawings on the walls of the houses were not durable. Before the important religious holidays, people whitewashed the walls of their homes and re-applied them with new flower ornaments. Women mainly did this type of arts and crafts. In the village, there were one or two folk artists, who had special skills in painting. The neighbors often invited those artists to decorate their homes. Gradually, the specialists were distinguished, for whom the decorative painting turned into the craft. The next stage in the development of decorative painting was the production of decorative compositions on paper (so-called “malovky”). Malovky copied the very murals and were glued to the walls in accordance with the rules of dwellings` decoration. Such paintings were in great demand at the local markets and fairs. The village of Petrykivka was a major trading center, where annual fairs took place. There, among the other items, the decorative paintings on paper were sold. 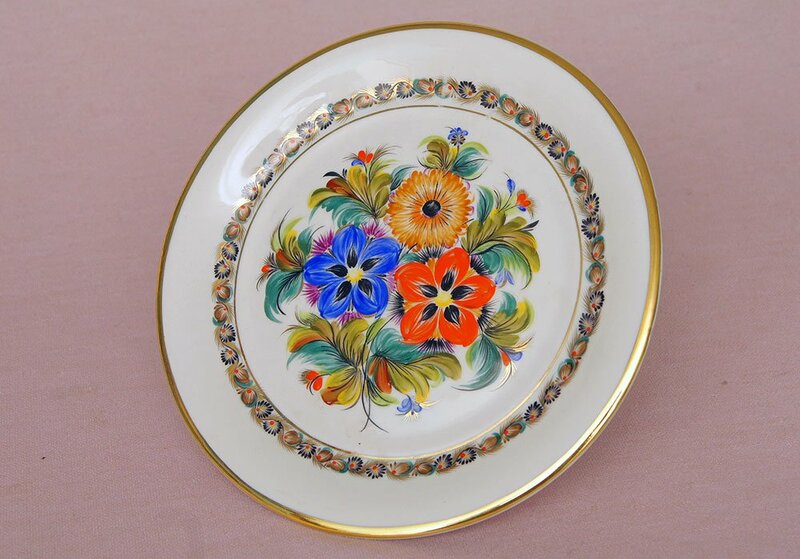 Petrykivka painting is traditionally dominated by floral motifs. The floral ornament depicts various flowers (asters, dahlias, roses, and chamomile) and fruits, which are combined in fantasy compositions of plants and shrubs. Sometimes floral patterns are combined with the images of people, birds and animals. Ornamental compositions were done exclusively on white background, but today artists often use a colored background. 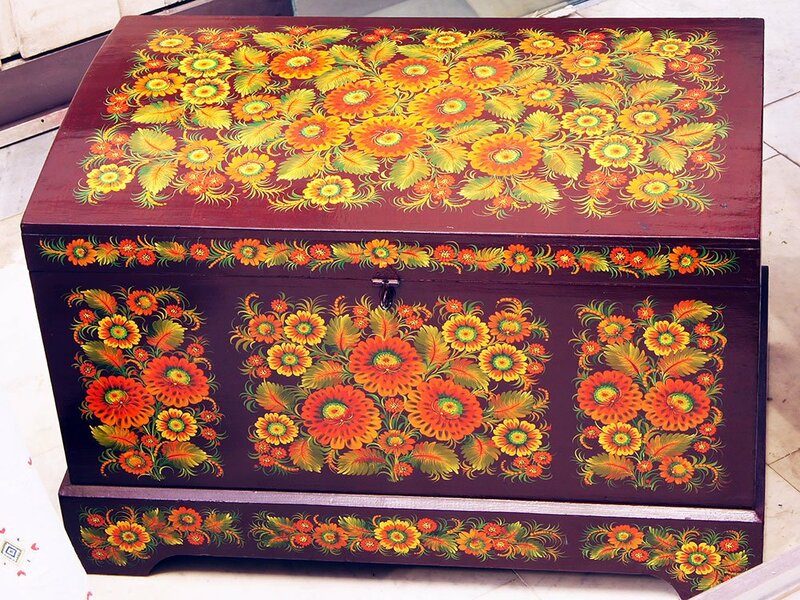 Earlier, folk artists used natural paints (juices and decoctions of plants). In the 20th century, they were gradually replaced by aniline dyes. In the postwar period, gouache and watercolor became the common dyes in Petrykivka painting. The artist Yevheniia Evenbach carried out the first professional research of the Petrykivka painting in 1911-1913 during the expedition to Katerynoslav area. 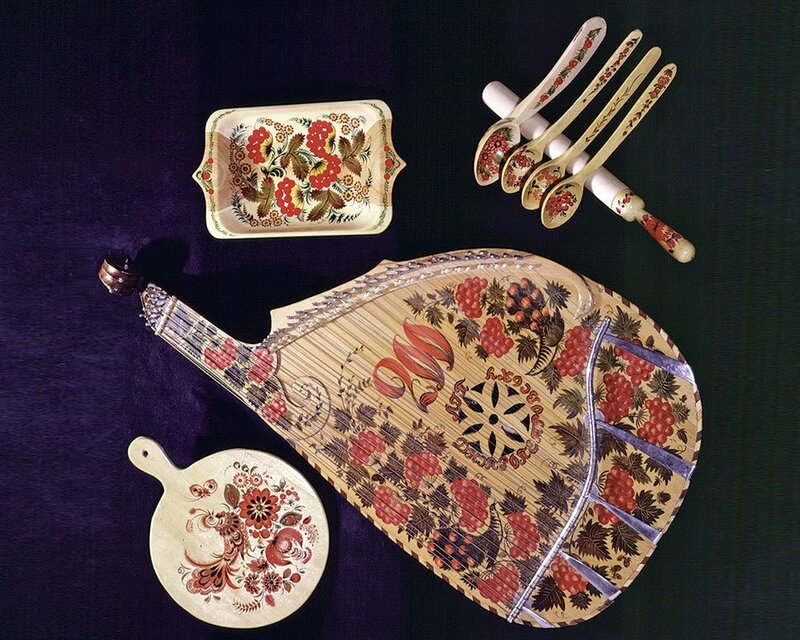 Already in 1935, a special two-year school of decorative painting was open in the village of Petrykivka. Also, at that time, many craftsmen moved to Kyiv, where they continued their artistic activities. In 1958, a workshop of Petrykivka painting was created on the grounds of a garment factory, which began to specialize in varnished painting. For many years, Fedir Panko was the main painter of the workshop, and subsequently the "Druzhba" [Eng - “Friendship”] Factory of Petrykivka Painting. The factory later became known as "Petrykivka Painting" and operated until 2006. 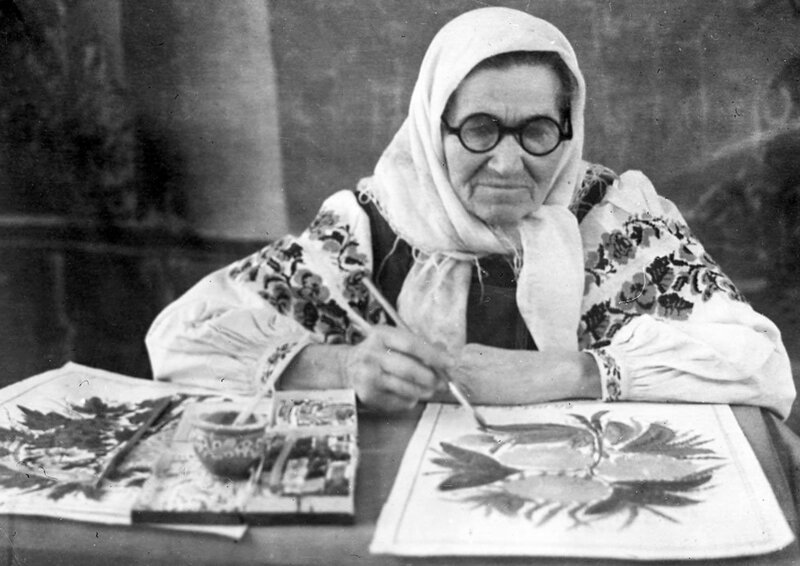 Already in the first quarter of the 20th century, the public knew the names of folk painters, the masters of the Petrykivka painting - Nadiia Bilokin, Tetiana Pata, Yaryna Pylypenko. The next generation was famous for the names of Fedir Panko, Vasyl Sokolenko, Vasyl Vovk, Vira Pavlenko, and Nina Turchyn. 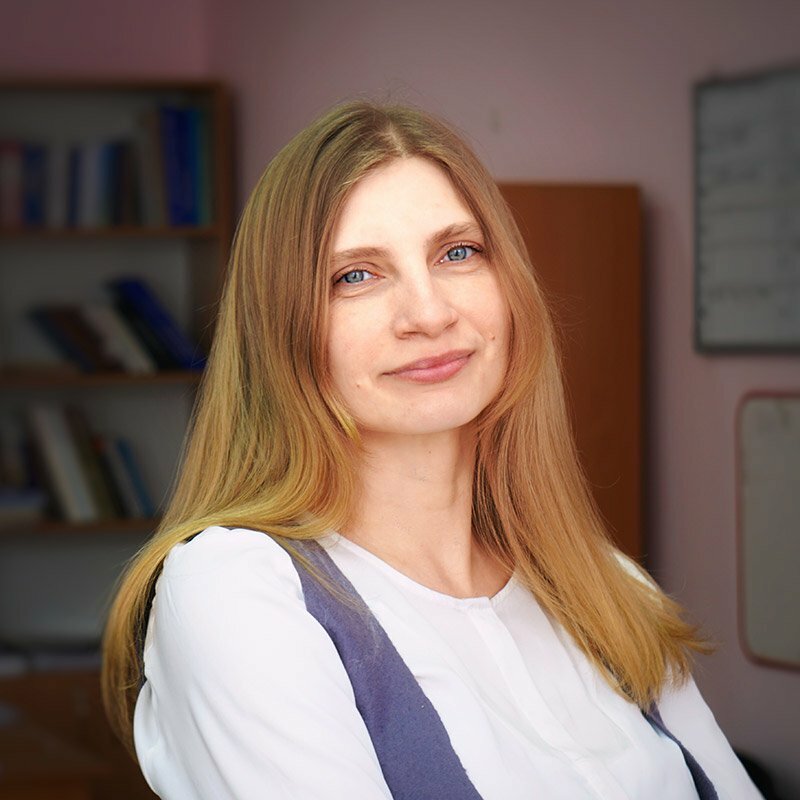 Among the contemporary masters, Olena Yarmoliuk, Natalia Maliarchuk, Viktoriia Tymoshenko are commonly known. Petrykivka patterns were used to design bank credit cards. Such patterns are applied in the monumental art (in particular, in the town of Malyn, the mural, based on Petrykivka motifs, was created), the interior decoration and the design of clothing. In 2000, 2001 and 2013 "Ukrposhta" (National postal operator of Ukraine) issued a series of stamps, and, in 2016, the National Bank of Ukraine minted a commemorative coin with a value of 5 hryvnias, devoted to Petrykivka decorative art. In 2012, the Petrykivka painting was recognized as part of the National Intangible Cultural Heritage, and, in 2013, it was included in the Representative List of the Intangible Cultural Heritage of Humanity by UNESCO. Today in Petrykivka village, the "Petrykivka" Center of Folk Art operates, which brings together about 40 famous masters of Petrykivka painting. Glukhenka N.P. Petrykivka Painting. K .: Art, 1975. 87 pp. 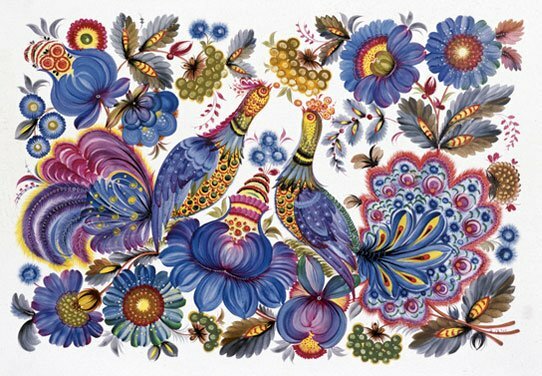 Naiden O. S. Ornament of the Ukrainian folk painting. Origins, tradition, evolution. K., 1989. 136 pp.